This year’s annual Information and Technology in Aged Care (ITAC) Conference will provide the perfect opportunity for individuals and organisations to share their ‘bright ideas’ on the future of aged care. The ITAC 2018 Bright Ideas Workshop, led by Professor Karen Reynolds is one of the events that will run during the two day conference starting on Tuesday 21 November at the Adelaide Convention Centre, focusing on the digital future and the importance of assistive technology in supporting service quality and independence of older Australians in aged care. Chair of ITAC Organising Committee Rod Young says this year’s ITAC Conference is a great way for people to take their ideas for Australia’s aged care landscape further. “If you have a thought that may improve care, service delivery or support independence but don’t quite know how to develop the idea further, the ITAC Bright Ideas Workshop is a great place to start,” Mr Young says. He says ITAC has explored many exciting ideas and innovations over the years and witnessed a rapid application of a variety of these technologies within aged care. Manager of Strategy Development at Health Technologies College of Science and Engineering at Flinders University, Jo Close says she is looking forward to having “a number of great ideas on the table” with the opportunity for suggestions to be further developed in the workshop. “Our experience at Flinders University, through the Medical Device Partnering Program, is that there are many ideas out there and often people don’t have the right capabilities to take them beyond an idea,” Ms Close says. 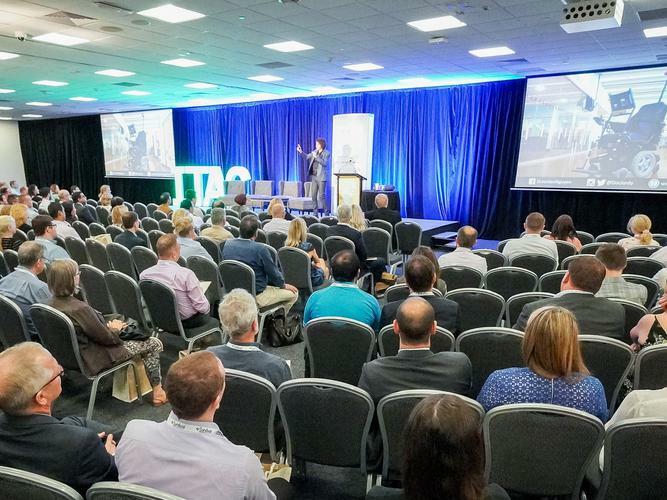 The conference over the two days will bring together the best IT leaders from around the country to provide information and opportunities for individuals and organisations with an interest in the aged care sector and organisers are urging participants to get involved. Guest speakers include Peter Williams, Chief Executive Officer (CEO) of Deloitte Centre for the Edge, Adrian Schauer CEO and Founder of AlayaCare, David Woodbridge, Access Technology Technical Lead of Vision Australia, Andrew Scott, Head of Technology, Chief Technology Officer and Innovation, Technology Innovation and Strategy at Telstra Corporation and Marc Niemes, Executive Producer of Kontent Labs, among many more. An ITAC 2018 Pre Conference Site Visit will also be held at Tonsley Innovation Precinct on 20 November, with a range of different activities including Medical Devices Research Institute, Flinders Digital Health Research Centre and an autonomous vehicle demonstration. The annual awards gala dinner will be held on Tuesday evening, recognising the valued work of IT in the aged care industry. For more information on the ITAC 2018 Conference including the event program and guest speakers click here.